We’re off and running on the 2014 professional disc golf season- as this past weekend was the Discraft Memorial presented by Innova Champi… oh, no wait it was presented by Discraft. 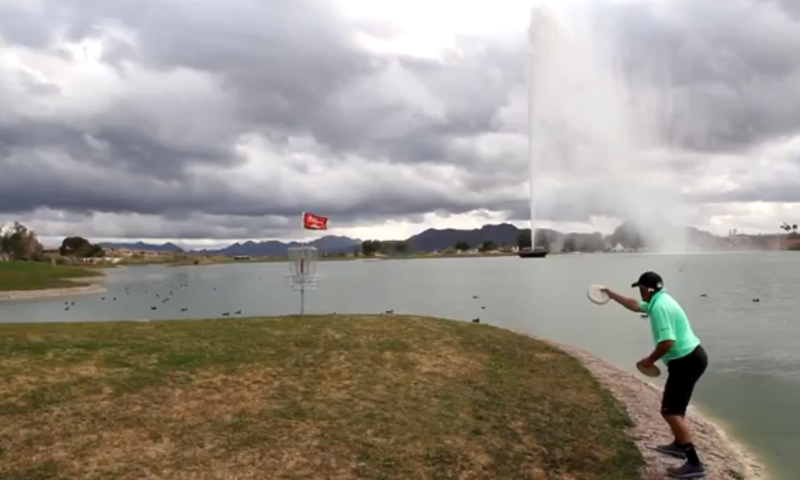 But it was the start to the PDGA National Tour brought to you by Vibram… no wait, that was last year. In any case the live footage was handled by DGPlane… no that’s not right either. I think it was Legacy Discs and the services of Terry Miller? No, that wouldn’t work since it was Discraft’s premiere event, so probably a conflict of interest if they paid for the live-stream. Look, I think all that matters is that this season is started, things are changing, and if you can’t adapt you’ll probably be left behind. The theme of sponsorships, and new up-and-coming companies is recurring regularly as each event unfolds. Personally, I find the discussion about “corporate sponsors in disc golf” to be incredibly boring. Whether or not an international company like Nike or Coke wants to associate their brand with the sport has little to no bearing on what I do in terms of the sport. On the other hand, there are some things that I follow intently because they do effect my interactions with disc golf. Namely, well edited video coverage posted to YouTube hours after an event is played, new disc manufacturing companies producing molds that people actually throw, and young players rising up to the top ranks, but not yet dominating. McFlySoHigh. If you love disc golf to the point of obsession, you already know who I’m talking about- and his video collection needs no introduction. This year he has actually brought on sponsors to help fund his adventures this year (did I mention it was this year? ); and I can only hope this means he’ll be hitting all the major NT’s and a few A-tiers as well this year. In all reality, he’s already done more between the Throw Down the Mt. in Florida, the Gentlemen’s Club in Vegas, and the Memorial in Arizona- that by previous year’s standards I’d be all set for a couple of months. Thankfully, he raised the bar and doesn’t look to be lowering it any time soon. Specifically, his turn around time with the Memorial footage (less than 12 hours) was outstanding, and as always- it was in full HD. At the same time we have Terry Miller the Disc Golf Guy continuing his vlogging and coverage of big events. Terry approaches the filming from a different angle; giving commentary, interviews and interactions with the top pros. Like McFlySoHigh, he also has acquired a sponsor for the season- the only difference being that Terry has a single sponsor (as opposed to numerous) in Legacy Discs (the Cali based company run by the Rico brothers). His vlogs are a staple for most avid YouTube/DG fans, so to see him sponsored and putting out good product early in the season is a good sign. Last year the talk was all Prodigy. They scooped up a strong majority of top players and started their own disc manufacturing company. The scale that they did things was large, and everyone could see they were looking to dominate through both talent and marketing. It’s interesting though, to notice the impact of other smaller disc manufacturers as they gain steam and do their own thing and succeed. I would say that when Prodigy assembled it’s team of players and laid out their plan (on purpose or not) they were taking on the two DG giants of Discraft and Innova. The team were all former Innova or Discraft players. Yet now we can see that the DG landscape is being filled in with a variety of options from all sides. So much so that a new player that just started playing less than a year ago doesn’t even view Innova and Discraft as the main companies. They see MVP. They see Legacy. They see about ten different major companies all doing their own things. It’s fun to watch it unfold and see what exactly is bringing success to each brand. We all just saw what a 46 year old guy with a passion for the game could do with a bag full of Gateway plastic- as JohnE McCray took 2nd place at the Memorial. In direct comparison to JohnE, there was a young 17 year old Drew Gibson (you may recognize him from THIS YouTube video posted by MurderMike) who was also on the lead card at this year’s Memorial. I found his appearance on the top card impressive less because of his age though. For the last three to four seasons there has been a constant stream of chatter surrounding “young talent” and all the youth and athleticism that’s rising up in the disc golf world. Rather than looking at the average age of the top touring pros, I tend to look at it in terms of “years on the tour.” Someone like Nate Doss, a 3x World Champ, might be a young guy under 30- but he’s been touring long enough to be viewed as a veteran. Essentially when you look at the landscape of the current top pros, you still see experience regardless of the ages. It’s exciting. Or rather, “IT’S EXCITING!” 2014 is upon us, and there’s a ton of stuff to keep our eyes on. From the quality video clips being released for free every week, to the new discs and new companies being created one after the other- the sport is in flux. I cringe with I hear people pine for disc golf to become “mainstream.” Wishing for Uncle Moneybucks to roll in and boost up the game with added cash and exposure isn’t a recipe for success. We already control where this thing is going- from the direct access to players, companies and events on social media to the consumer side of things and buying all these niche products. My attitude is to enjoy where it’s at, and if you see something you could add- by all means do it. This entry was posted in Opinions & Technique, Stories and Miscellaneous, Touring Pros and tagged 2014, disc, golf, johne, mccray, national, PDGA, season, tour. Bookmark the permalink.